The 36-inch finishing mower attachment is a seven-gauge deck with a 1.5- to 4-inch height of cut range. 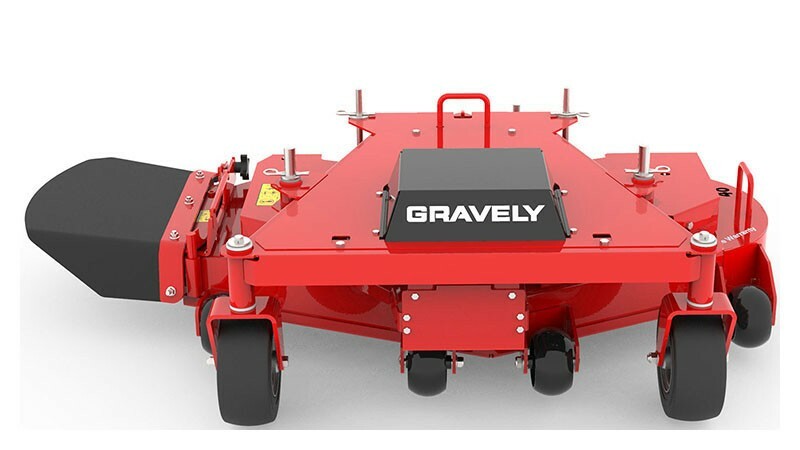 This attachment also comes equipped with Gravely’s constant belt tensioning (CBT) system, which maintains constant belt tension, produces a consistent blade tip speed and eliminates belt slippage and spring adjustments to ensure a consistent cut quality. Comes backed by a one-year commercial warranty. Overall chute up - 36 in. Overall chute down - 50 in.